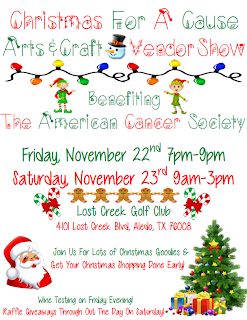 "Come join us this weekend for Christmas For A Cause Arts & Craft Vendor Show benefiting The American Cancer Society and shop over 20 vendors for a variety of handmade and unique craft items and lots more. Free admission for everyone!! Raffle Tickets will be sold and drawings will be held throughout the day on Saturday! 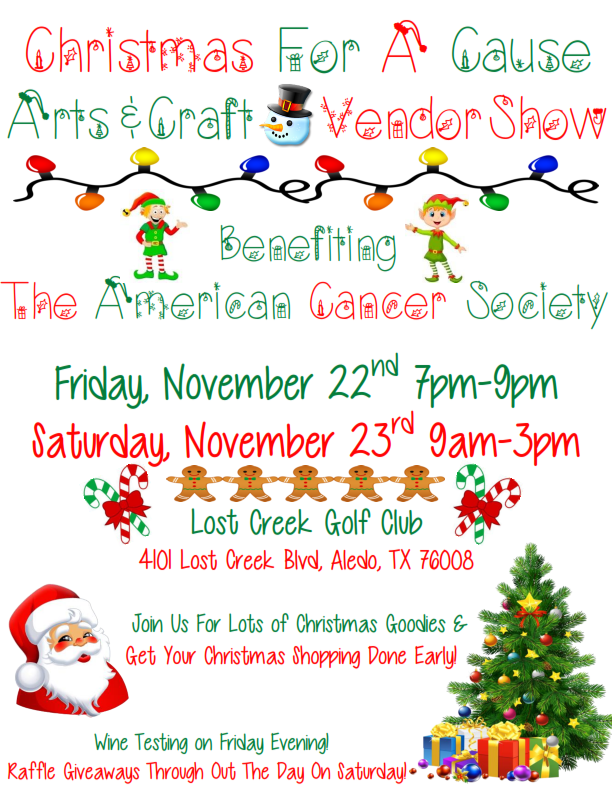 We have everything you need for your Christmas gift list so make sure to come get your Christmas shopping done early." Booths are 6 X 8 and cost $25. They are full on direct sales, jewelry, and wreath vendors. Seeking more handmade vendors, dog treats, and food vendors. Tables available for 10.00. Electricity available for 5.00. For more information, contact their event coordinator at justsimplyadoorable@live.com.